The item or your size is sold out? Click on the size and we'll send you an e-mail as soon as the item is back in stock. You always want to look good - whether screwing, at festivals or in the bar? 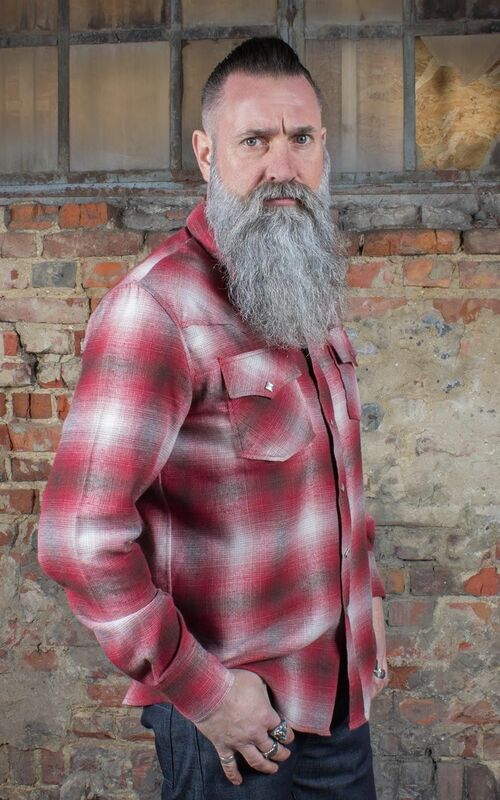 No problem: try this cool flannel shirt with blue jeans, boots and a majestic walk. Girls will whistle after you and guys will definitely jealously stretch their heads. 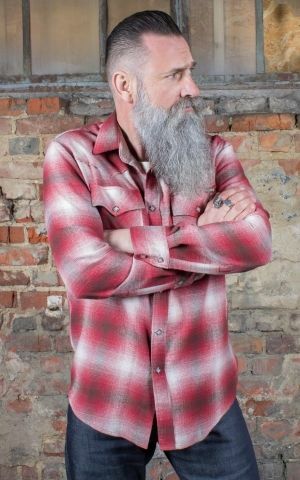 If the pack now just knew how comfortable the casual cut and how soft the fabric of this shirt is - they would probably rip it off quite quickly... And by the way: we are not liable for such attacks! Red plaid flannel shirt in vintage country look. This check shirt comes in a relaxed fit, sewn from robust and soft cotton flannel. Patch pockets with flaps are closed with push buttons. Square buttons with rounded setting in the middle accentuate the mother-of-pearl look. The long-sleeved shirt's high cuffs also come with snap fasteners for easier rolling-up during sweaty tasks. Rounded fits in the front and back and stylish press studs add a bit of great western style. 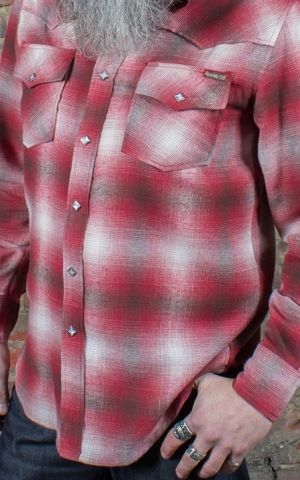 The absolute argument to get this shirt is of course the beautiful and high-quality shadow plaid, which gives the shirt a perfect wearing comfort at first, but also just the right note of nostalgia of the good ol' 50s. 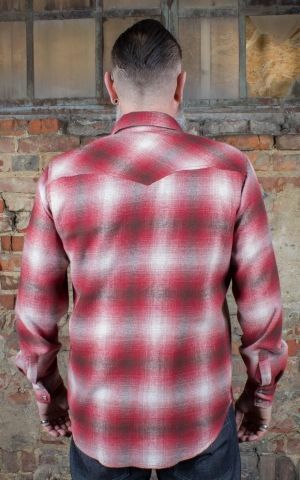 Cold gentle wash, but hand wash recommended for ideal preservation of the beautiful cotton flannel fabric. 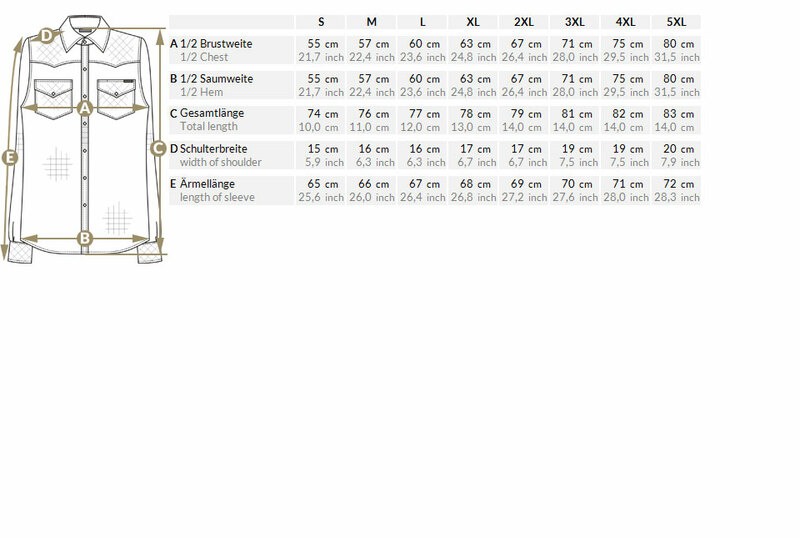 Info: Please check the size chart for the perfect size! Our model is 180 cm tall and wears this cool shirt in size M.
Rumble59 offers a wide selection of classic shirts for lovers of rock'n'roll style! 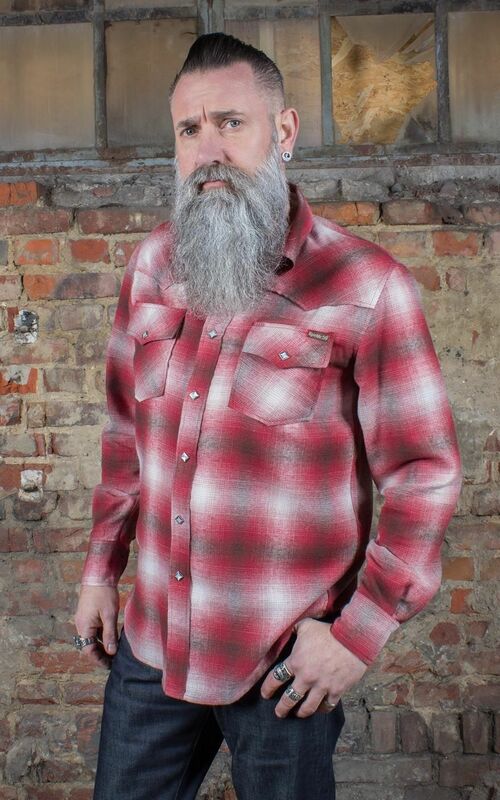 This 50s shirt impresses with a classic oldschool look and its premium quality. Erstmal vorneweg: die Performance war mal wieder Spitzenklasse! Rasante Lieferung, macht echt Spaß bei Euch zu bestellen. Das Hemd ist vom Schnitt und der Optik toll. Anhand der Größentabelle ist die passende Größe gut zu ermitteln. Die Verarbeitungsqualität hat definitiv noch Luft nach oben. Die Brusttaschen beispielsweise sollten knappkantiger aufgesteppt werden (oder eben mit einer Doppelnaht um den optischen Effekt zu erzielen). Gerade weil der softe Stoff etwas zum verziehen an den Kanten neigt. So wirkt das etwas billig und selbstgenäht. Trotzdem ist das Hemd vom Style her top. Darum auch nur ein Punkt Abzug aus meiner Sicht. Der reguläre Preis von 69,- ¤ für das Hemd, ist m.E. in anbetracht der verbesserungswürdigen Verarbeitung zu hoch. Ich habe es mit 19% Rabatt kaufen können, dafür wars in Ordnung. Passt hervorragend, flauschig weich, top Qualität! Leider nur mässige Qualität. Fällt recht gross aus.